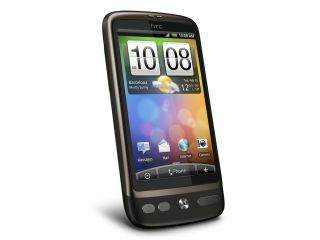 Virgin Mobile has announced to its customers that an Android 2.2 update to the HTC Desire is now available. In a statement released to the Virgin community forums, it was revealed that those who have Virgin specific firmware (1.23.351.1) can get the update right now. Those who are on the handset's original firmware (1.15.405.4) will have to wait a few days for another update to become available. As with previous Froyo updates, this is an OTA (over-the-air) update so you are best to hack into a Wi-Fi signal and it's always best to back up your data. The Android 2.2 update includes – like you don't know already – the ability to save applications to the SD card, you can use the device as a portable Wi-Fi hotspot and compatibility with more Android Market Place apps. If you are a Virgin Mobile user with an HTC Desire, then you can go to Menu > Settings > About Phone > System Software Updates > Check Now for the update.